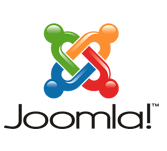 Joomla is an open source Content Management System (CMS) used to develop websites and online applications. Joomla is used with PHP, Object Oriented Programming, software design patterns and MySQL. The tutorial covers various sections like Joomla Basics, Joomla Menus, Joomla Modules, Joomla Global Settings, and Joomla Advanced. This tutorial is useful the readers who is aware of HTML and CSS to develop websites. This tutorial will provide awareness to learn the basics of Joomla to create websites in simple way. To learn this tutorial you should be aware of the basics of HTML and CSS. We are suggesting going through our online library to read tutorials on HTML and CSS.